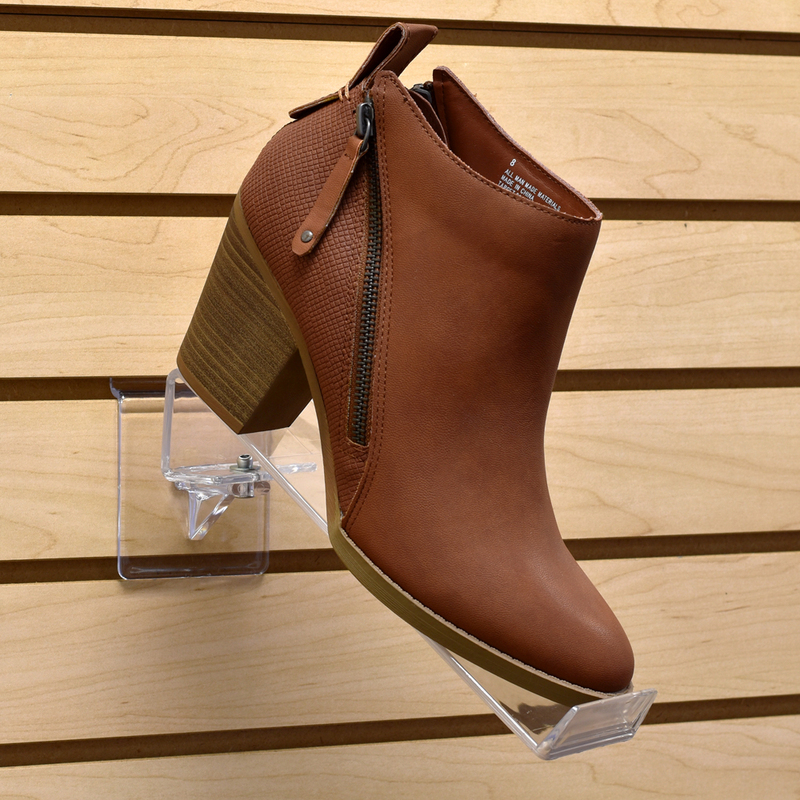 Slatwall shelving is reat for displaying a variety of shoes! 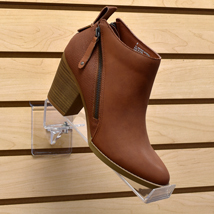 The acrylic swivel shoe shelf with toe stop works on slatwall and gives shoes the optimal displaying capability. Use this slatwall shelving individually or side by side for a continuous display. For further products, we invite you to take the opportunity to shop our comprehensive inventory of slatwall shelving at Specialty Store Services now.